The Sistine Chapel is one of Rome’s most popular and prized historic sites. Set within the Vatican City and Museums, it welcomes around 25,000 visitors a day. The world-famous ceiling frescoes by Michelangelo are of course the main attraction, forming masterpieces of astonishing beauty and magnificence. Despite cameras being banned in the chapel, the visit to the site should prove to be a grand experience to sate your cultural craving. In any case, here are 10 fascinating facts about the Sistine Chapel (researched by the culture experts at OMNIA Vatican and Rome) to give you all the more reasons to visit this stunning attraction. The measurements of the Sistine Chapel take an interesting route of inspiration. According to most accounts, the rectangular building with its relatively unadorned exterior facades, has its ‘length’ as the basic unit of measurement. To that end, this length (which is around 40.9 m or 134 ft) is divided by three to get the width (13.4 m or 44 ft), and divided by two to get the height (20.5 m or 67 ft). This ambit of dimensions in turn is possibly directly inspired by the measurements of the biblical Temple of Solomon, as is exactly mentioned in the Old Testament. 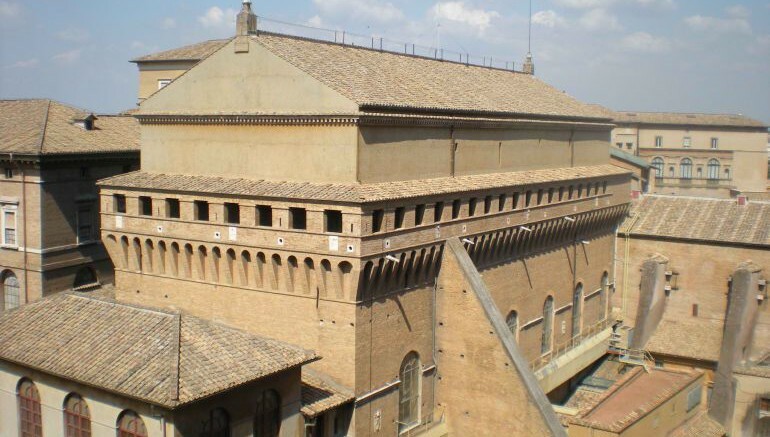 The Sistine Chapel was originally built on the site of the so-called ‘Cappella Magna‘ – a fortified hall from the medieval times that was mainly used for assemblies by the Papal Court. 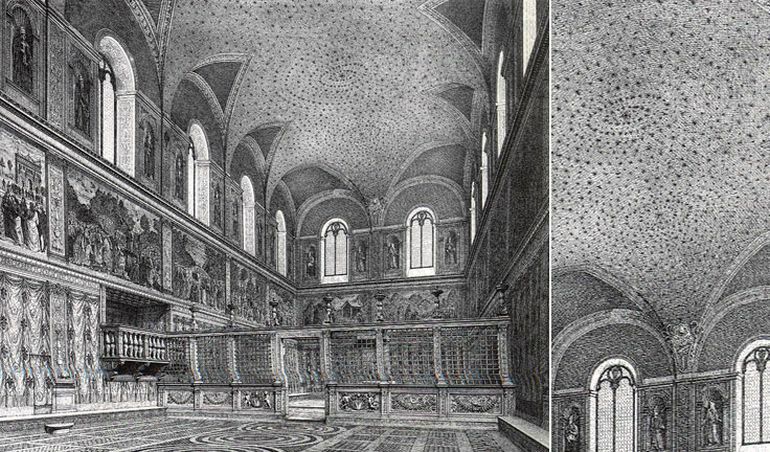 However, Pope Sixtus IV (or Sixtus IV della Rovere) decided to build a large room where this hall stood, and this spatial development was known as the Sistine Chapel – named after its patron pope. This construction for this grand chapel started in 1477 AD, and its design was to have the same defensive considerations as its predecessor building. This translated to the avoidance of a processional front door – which denies access to the chapel except through the adjoining Apostolic Palace (the official residence of the Pope). Such fortifying measures were adopted because of the political tension between the influential Medici family (the de facto rulers of Florence) and the Papacy. 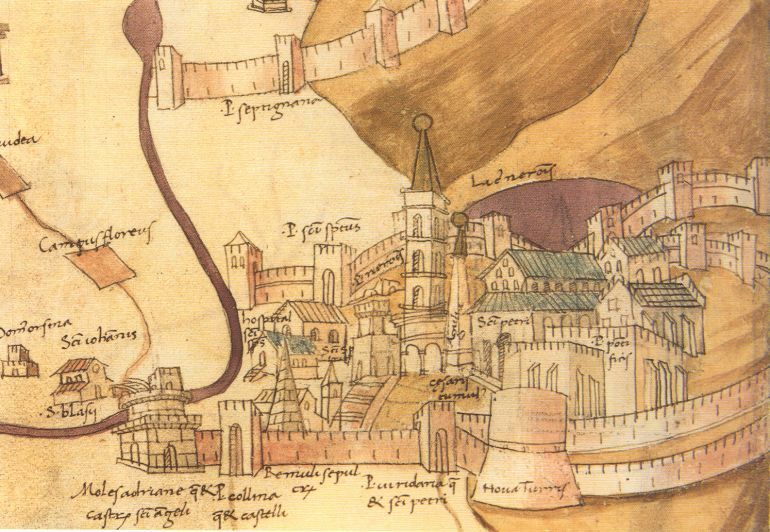 Furthermore, many regions of Italy were still threatened by the encroaching forces of Ottoman Turks, who were ruled by the enigmatic Mehmed II – the very same emperor who conquered Constantinople in 1453 AD, and renamed it Istanbul. While the brilliant artwork by Michelangelo serves as the crowning glory of the Sistine Chapel, there were a slew other renowned artists who worked on the famed building. The architectural and design elements included the marble screen (or transenna) by the team of by Mino da Fiesole, Andrea Bregno, and Giovanni Dalmata; the side-wall frescoes by the workshops of Domenico Ghirlandaio, Sandro Botticelli, Pietro Perugino and Cosimo Roselli; and tapestries designed by Raphael himself (but these original ones were burnt when Rome was looted in 1527 AD). However, the ‘piece de resistance’ of the scope must have pertained to the creation of the Umbrian artist Piermatteo d’Amelia. This encompassed an entire ceiling with its evocative blue paint – studded with an array of golden gilded stars, and bordered by embellished details of the pendentives. But this incredibly expansive scene was then painted over by Michelangelo, under the directives of the Pope himself. 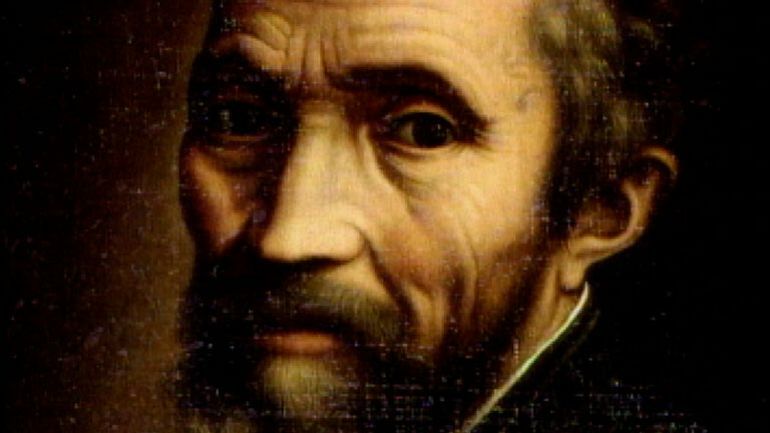 To simply put it – Michelangelo was averse to painting as he considered himself a sculptor at heart. So, he wasn’t very pleased at first on receiving the commission. However, Pope Sixtus IV egged the great artist on by giving him the opportunity to also sculpt a massive Moses sculpture (which is presently kept in the church of Saint Peter in Vincoli, Rome). This allowed the pope to gain the leverage over Michelangelo, thus eventually tricking him into the painting commission that ultimately evolved into the famed frescoes of the Sistine Chapel. In spite of his later reconciliation with the grandiose artworks at the chapel, Michelangelo still hated his ceiling painting job – so much so that he wrote an epic poem to his friend Giovanni da Pistoiahow complaining about how he had “grown a goiter from this torture” and his “stomach’s squashed under my chin”. But the artist still managed to complete this ‘torturous’ endeavor by actually standing on his own designed scaffolding platforms – as opposed to the popular notion of Michelangelo painting his frescoes by lying on his back. The familiar trope of God with his flourishing white beard was given a significant boost by Michelangelo’s depiction of God in the famous fresco of ‘The Creation of Adam’ along the Sistine Chapel ceiling. The artist was passively aided by the relatively lax attitude of Christianity (among Abrahamic faiths) that allows God to be depicted in a humanoid form. This old man representation of the omnipotent entity has since become archetypal, with numerous similar or inspired portrayals even found in today’s popular culture. 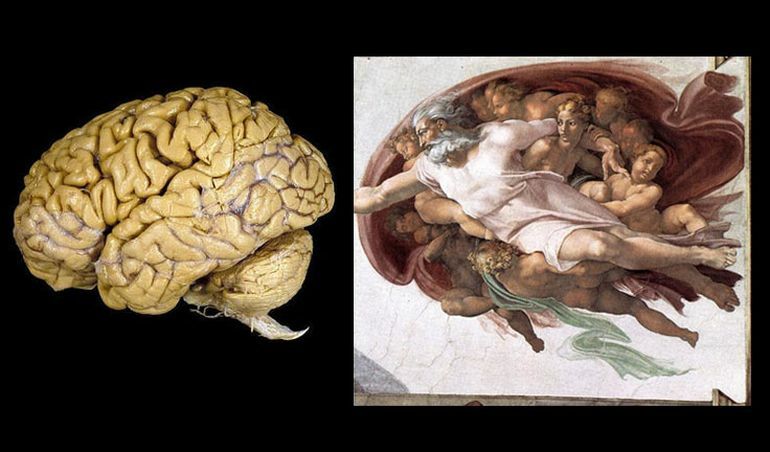 However, arguably more interesting is the outline of a brain-like shape (comprising the red cloth) encompassing the background of God and other figures. According to a study by a noted American physician Frank Meshberger (which was published in the Journal of the American Medical Association), this shape appears to be an accurate illustration of the human brain, with the representation supposedly co-relating with parts like the brain stem, the frontal lobe, the basilar artery, and even the major sulci of the cerebrum. Another alternative theory suggests that this red cloth represents a human uterus. In any case, the fascinating portraiture does allude to Michelangelo’s penchant for visually recreating human anatomy. 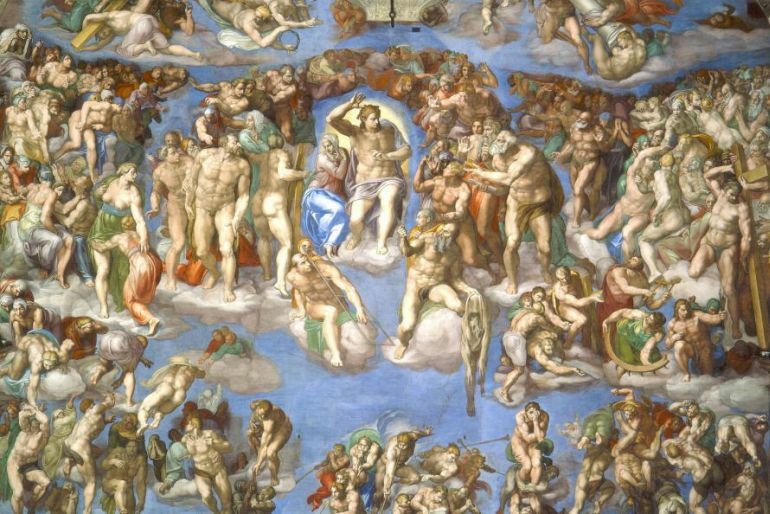 To that end, the ‘The Last Judgment’ completed in 1541 AD served as an impressive testament to the reinstated grandeur of the Roman Catholic seat of power, especially with the commencement of the Council of Trent in 1545 AD – which was one of the most important ecumenical councils prompted by the rise of the Protestant movements. Ironically, during the end phase of this council in 1563 AD, the nudes in Michelangelo’s masterpiece were deemed obscene, and as such were covered up by painting over with fig leaves, draped clothing, plants and animals.